In the last post to be published on the Earthwise Pest Management blog, we explained in more detail why it is extremely important for commercial business owners to hire professional pest control companies to make sure that their space is safe and sanitary. While this is absolutely true for all business owners, there is a certain industry that needs pest control more than others. That’s right, we are talking about the food and hospitality industry. As a business owner, whose establishment serves both food and drinks every single day, you probably already know the importance of pest control. After all, if there is a single pest that appears in the space or heaven forbid, in someone’s food, that may be all it takes to lead to your ending up in court or even closing your business for good. This is why having an ongoing pest control plan is going to work for you and help you to protect your business from the risks that are associated with pests being in a restaurant. In this post, we are going to go into more detail regarding the many benefits of having an expert pest management team on your side as the owner of a restaurant. Having a pest control company helping you can help you to rid the property of any pest s that are already residing there, as well as protect you from suffering from future infestations. Ensuring that current infestations are stopped in their tracks will greatly decrease the pest risk in your restaurant and improve your health inspection grade. Pest infestations can become a problem very quickly and unexpectedly since pests are capable of procreating at such fast rates. When you have a pest control program in place, you will receive regular inspections so that you can stop infestations before they become a big problem in no time at all. Earthwise Pest Management has a skilled team that can recognize an infestation quickly so that you do not have to worry about it. We will also give you an idea of any problem areas that you may need to keep an eye on between our professional inspections. While it is possible for you to have a pest problem without any sort of indication, this is not that common. This is why it is imperative that you know how to identify the more prevalent signs of a pest problem. You can find some of the most common signs below. The majority of pests will leave behind feces when you have an infestation. While they might be so small that they just appear to be dirt, others will be much more obvious. Rodents often have fairly large droppings which can often lead our experts to where a nest may be. There are many pests that will get into food if it has not been properly sealed or stored. In fact, rodents can actually chew through plastic, cardboard, and in some cases even cement. If you notice that your storage containers have been chewed through, this is a huge indication that you have a rat or mouse problem in your restaurant. Even if you aren’t seeing pests in your restaurant, that doesn’t mean that your customers aren’t. In fact, it is not that uncommon for customers to take to social media when they do see a pest of some sort of restaurant. They will begin warning everyone they know about what they experienced, which is clearly a fast way for you to lose a ton of business in a very short amount of time. 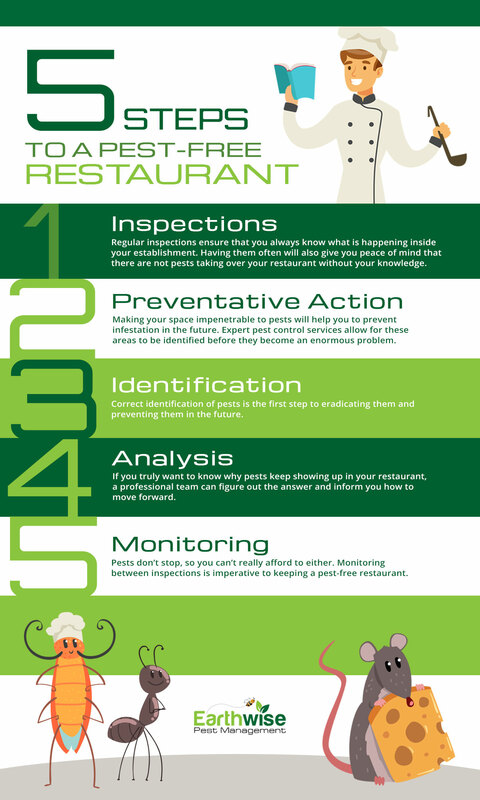 If you own a restaurant and you do not currently have a pest control program in order, it’s time to do so. Not only can you protect your restaurant’s reputation, but you can also ensure that your employees and your customers are protected from any potential bacteria or viruses that pests are known to spread. 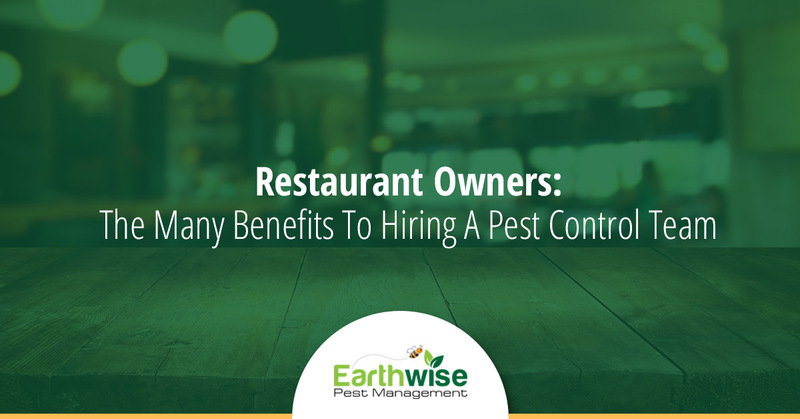 Call Earthwise Pest Management in Sacramento and find out how we can help you to eradicate any pests from your property so that you can continue to run a safe and welcoming restaurant!